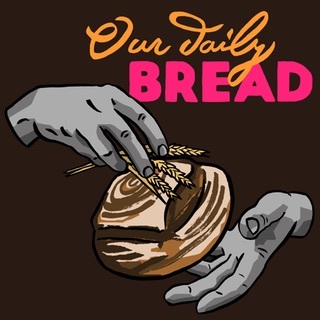 Our Daily Bread was a contribution to the Dog Days of Podcasting, with an episode every day through the month of August 2018. Show notes are currently minimal because I plan to produce a book. Gathering enough wheat to eat probably wasn't all that difficult. It's a trick scouts and survivalists know: you don't need a heat-proof container to boil water. How, and when, did modern wheat arise from its the wild ancestors? Very quick or slightly slower, in just a few hundred years, domesticated wheat spreads all over the Fertile Crescent. In all probability, the original source of Kamut was a market stall or a small farmer in Egypt, where it had survived as an obscure grain grown by peasant farmers. "In order to improve cultivated plants it is necessary to have the 'building material' required ... And to use their most valuable qualities for hybridisation." Synthetic wheat; it isn't natural, but it is a very good thing. Bashing wheat with a hammer will not give you flour. What you need is a shearing force, which you get by grinding the grain between two stones. Samson was grinding. He wasn't pressing. No matter what some artists may think. St Anthony Falls powered the sawmills that created the financial capital that laid the foundations for General Mills. Everything old is new again. This is a little thing that will take you to a random microcaster.